After over a year’s development of its infrastructure layer, Polkadot gradually becomes mature and its related ecosystem also begins to form. 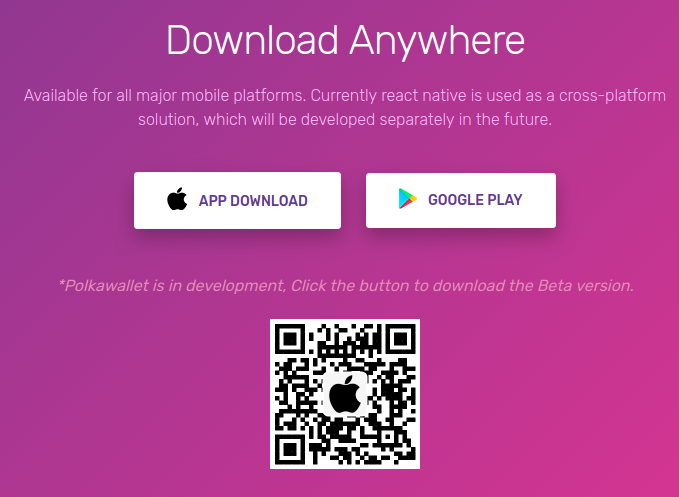 As one of the early-stage projects in the ecosystem of application layer, Polkawallet is designed to provide mobile-end services such as easy cross-chain asset one-stop management, staking, governance and cross-chain ecological application access. While providing users with more human-friendly and more convenient experience, it also offers more direct effect such as visual data and state changes, so as to get users quickly involved of the situation and improve their participation. Asset Management: Users could use mnemonic, Raw Seed or keystore import to create a wallet. Currently, it supports polkadot Alexander testing network and in the future parachains asset management will be added. Users could initiate scan & transfer, or export keystore, or change passcode, add addresses book. They could also see their transaction records and asset line chart. Staking: Users could Stake or Unstake as they want, and monitor their slash records which are displayed in charts. If you’re concerned about the staking, you could set preferences, which would automatically unstake once it exceeds set limit, in this way you could avoid heavy asset loss from maloperation. When you want to Nominate someone, you could first refer to the history slash records of all intentions in the Staking Overview and then choose the best one or several of them (in the future) to nominate. Democracy: With the countdown proposals and referendums display, you could participate in the vote and vote the result. History referendum inquiry will be added in the coming version. 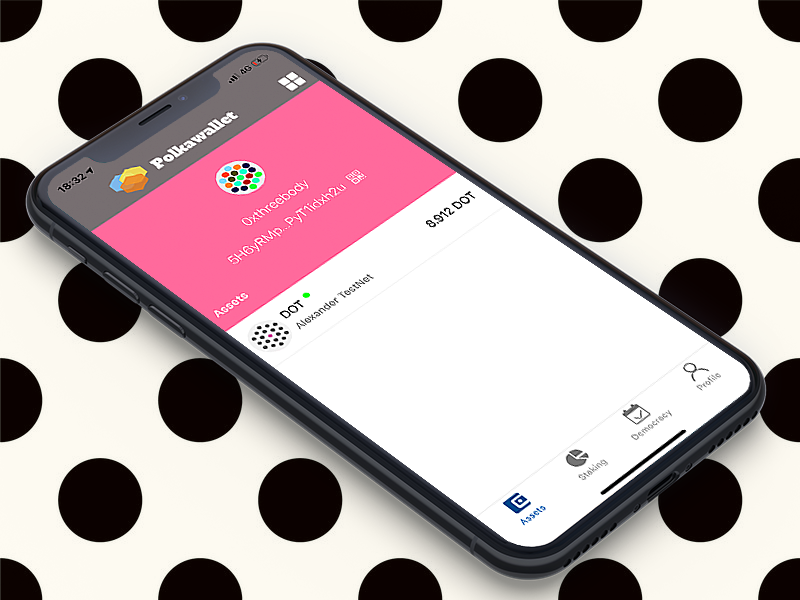 Open https://polkawallet.io/ use iphone, or desktop browser. Then the iphone will jump the same page, Click APP DOWNLOAD button. When Clicked APP DOWNLOAD, Installation prompt pops up, click install. Back to the main screen of the mobile phone, it is already there. Now You can open the polkawallet app. The first DOT transaction on the mobile wallet. Choose a more suitable architecture for this application. Subcontracting according to architecture and business modules. The component package is re-screened, and the comprehensive optimization is selected to prepare for future updates. Component packages need to be re-filtered for comprehensive optimization. The code solution needs to be recalibrated for new business and multi-chain support. Move logic in the View layer or controller layer. Develop a code submission specification. Eliminate code redundancy, unused code. Extract method to remove duplicate code. Clean up the code hierarchy. Chinese and English bilingual annotation. Data caching, reducing user traffic consumption, and server performance consumption. Reorganize the business logic to reduce redundant requests and redundant listening processes. Constantly test, eliminate stuck, crash. Parachains based on substrate or network bridge are gradually penetrating into different subdivided areas; blockchain is at its dawn for a “renaissance”. Polkawallet will quicken its step in integrating suitable cross-chain applications within the ecosystem, providing them with convenient and efficient access to make them serve and simplify users’ lives. For its first integrated application, Polkawallet has already strategically cooperated with ChainX and there’ll be more in the future.